BC is a perfect place to start a ranch. With our mild climate, excellent water access, and lush foliage for your livestock, you can saddle up and ride your herd out to pasture, admiring the scenic vista surrounding you. If you are interested in becoming a weekend cowboy, these ranches are perfect for you to escape the hustle and bustle of modern day life, and slip back to a quieter time, accepting the reins from your horse from your experienced foreman and ride the range for a couple of days. No matter how serious a cowboy you wish to become, NIHO has the property which is right for you. Our rolling grasslands on the plains where NIHO’s ranches can be found provide excellent grazing for horses, cows, sheep, llamas, and any other livestock you may wish to bring in. The natural bubbling creek and brooks, flowing into the mighty rivers and picturesque lakes means that water access is never a problem at your ranch. What about bringing in supplies? Not a problem at all! These properties are all easily accessible by at least gravel road, and in some cases, airstrips have been built to allow potential access by air. It’s never been easier for you to get your home on the range. As our president, Rudy Nielsen, always reminds us, “Don’t wait to buy land. 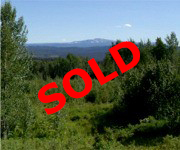 Buy land, and then wait!” Our ranches are no exception to this rule. The demand for Canadian livestock and livestock products has never been higher. The growing popularity of guest ranches as a vacation getaway are causing ranches to be snapped up as soon as they are put on the market. The excellent climate and water access makes British Columbia an ideal place to fulfill your dream of becoming a cowboy, even if only on the weekends. Located throughout British Columbia, these properties are listed according their ascending order by price. Click on any of these listings to find out more about these pieces of prime recreational real estate. 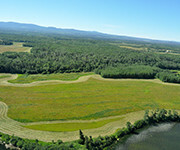 465 acres on the northwest shore of Day Lake, approx. 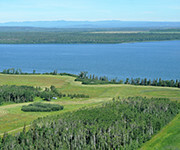 23.61 miles (38 km) northwest of Burns Lake. 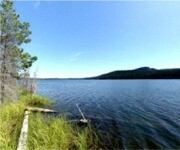 This gorgeous acreage is one of only two privately owned properties on Day Lake. 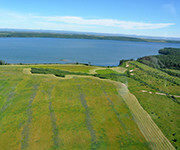 It has roughly 7,720 ft. of lake frontage and two well sheltered bays. A perfect spot for a home or recreational cabin. 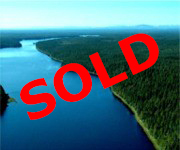 You could own your own private fishing retreat in an amazingly beautiful piece of British Columbia! 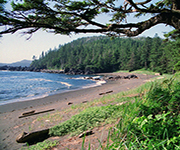 This beautiful oceanfront property is located on the north-west tip of Vancouver Island, just south of Guise Bay and situated within Cape Scott Provincial Park. It features approximately half a mile of spectacular sandy ocean frontage. The east side of the property is very close to Hansen Lagoon. Spectacular, private, serene. An investment property within the Lower Mainland! Over 700 acres located on the north end of Pitt Lake, this riverfront property is a fly-fishing paradise and offers numerous recreational opportunities! 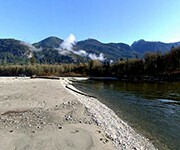 The views are breathtaking with snow capped mountains, fronting the Pitt River, rated one of the top fishing rivers in Canada! This spectacular property on Haida Gwaii (Queen Charlotte Islands) is located within the boundaries of Naikoon Provincial Park, close to the community of Masset. With access to the excellent fly fishing of the Sangan River, and only moments from the sandy beaches along Tow Hill Road, this property would make an excellent recreational retreat. 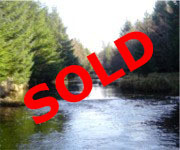 The Noralee Trails offers you instant access to the many recreational possibilities the Lakes District has to offer. Only a short drive away is some of the most productive lakes in British Columbia. Surrounding tracts of Crown land offer you horseback riding, quad and ATV, and snowmobiling opportunities.